Translation fails can be downright hilarious, but they sure arent funny or amusing to a business whose brand has been tarnished. What causes translations to go awry? How can global marketers avoid being lost-in-translation? &apos;Lost in Translation&apos; - a commonly used expression that could also mean different things in different scenarios. To movie buffs, it&apos;s about the great 2003 romantic comedy-drama film written and directed by Sofia Coppola who won Best Original Screenplay. The leading actors Bill Murray and Scarlett Johansson also won awards for their roles. The film, shot in Tokyo, was about two people who were somewhat lost in their own lives. In a literal sense, we experience people of different language background being lost-in-translation. While on the flip side, we also get to understand that friendship needs no translation. 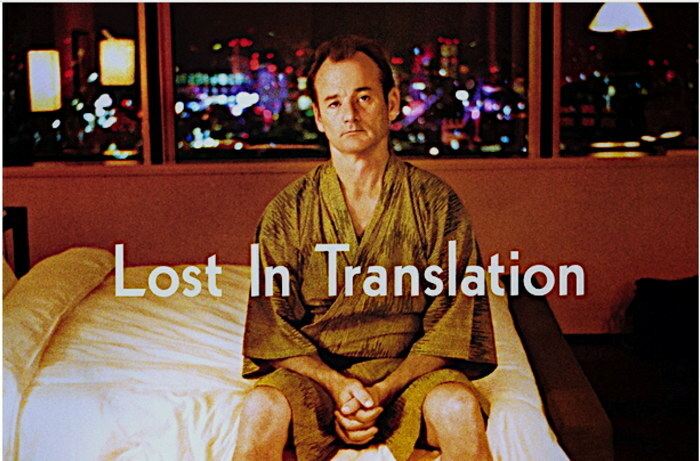 As far as this movie &apos;lost-in-translation&apos; goes, it was all for its intended fun, to add to the amusement and the comical outcome enjoyed by the audience. But in a real business world, &apos;lost-in-translation&apos; can have very damaging consequences to one&apos;s reputation, which could even result in an unfavorable bottom line too. YOU ARE WELCOME TO VISIT THE CEMETERY WHERE FAMOUS RUSSIAN AND SOVIET COMPOSERS, ARTISTS AND WRITERS ARE BURIED DAILY EXCEPT THURSDAY. Most businesses promoting to multi-ethnic customers depend on translation services for creating cross-language marketing content. Understandably, this is the most economical and efficient option, instead of creating publicity literature freshly copywritten in various foreign languages. In global marketing, content localization (which is a more complex process of translation) is the ideal approach for corporate branding objectives, such as the creation of a standardised content look-and-feel, consistent layout, colour concept and use of images or illustrations for the respective language versions. In essence, the source text and design concept of the original language content are provided to translators as a form of template. These templates are then overlaid with translated text to create derivative versions in whatever target languages. Undoubtedly, translation is a service that helps simplify and expedite international business communication. However, when processes are incorrectly or incompletely applied, it can be a very expensive lesson. In extreme cases, the end-result of a marketing or publicity campaign can be downright catastrophic. There are many causes and reasons that lead to poor or bad translations. This results in a localised language content that reads awkwardly or nonsensically. Bad translation occurs due to a misunderstanding of the source (original) content or the copywriter&apos;s intended pun. This is likely to be the cause in localising creative or marketing-related literature where writers are fond of using satire, colloquial slangs and figurative expressions to entice readers&apos; interest. Erroneously translated information, due to a wrong interpretation of the original intended message, could even be life-threatening or disastrous, especially when dealing with critical instructions (read: major fails). Whichever is the outcome, it is certainly distressing for any business to have wasted time and money. Poor quality translations will definitely impact marketing efforts negatively and tarnish a company&apos;s reputation. Such failures in global marketing will cause undue embarrassment and lost opportunities. The &apos;Terms of Reference&apos; of a word or phrase is the object or concept that it is meant to be ascribe to. While the &apos;Sense&apos; of a word or phrase is the perception to which the word or phrase captures the reader&apos;s visual and emotion that are more prominently attached to the object or the concept. Although the &apos;Terms of Reference&apos; of each word or phrase is intentionally assigned by a writer, the sense of perception of its object or concept could vary from reader to reader. This is due to a person&apos;s vocabulary, intellectual experience, level of exposure on general knowledge, language skills, etc., resulting in different people perceiving the sense of a word or phrase differently. These are the so-called nuances that are unique to each language. For example, was it something for the &apos;sense&apos; to perceive as serious or funny? Was it meant as a metaphoric expression, in other words, not to be literally applicable? The &apos;Writer&apos;s Meaning&apos; of particular words or phrases is the intended meaning that the content was referring to. While &apos;Audience Meaning&apos; is what the audience understands when reading those same words or phrases. Since the whole point in language is about communication, the primary aim is for &apos;Writer&apos;s Meaning&apos; and &apos;Audience Meaning&apos; to correspondingly tally up. When a source copy &apos;Writer&apos;s Meaning&apos; and the translated &apos;Audience Meaning&apos; fail to connect (do not match up), it is a case of &apos;lost-in-translation&apos;. In other words, through the conversion into another language, it either became an unintelligible message, or a different message altogether. Resulting in a loss of understanding, while for marketing initiatives, a potential loss in revenue too. After all, when your customer does not understand what you&apos;re selling, they are less likely to buy. In language communication, a bilingual person isn&apos;t necessarily a translator. Often times, a bilingual colleague may be called upon to perform translation. While it may seem that some cost has been saved, the outcome is questionable if that colleague is not sufficiently knowledgeable of the topic, or not qualified enough to perform a proper publishing standard and well-understood translation. It&apos;s quite obvious when we consider that professional translators must first undergo tertiary studies on linguistic, cultural and social conventions. They must also be tested and certified, as well as having attained several years of in-depth and professional involvement in a related industry. For example, having the ability to appreciate good tasting food doesn&apos;t qualify one as a good cook. While an eloquent speaker is not necessarily an eloquent writer, and vice versa. Although AI technology has improved in its deliverance for translated cross-language messages, it is far from the requirements and expectations when we are dealing with a business world. AI systems literally focus on words as a form of &apos;dictionary&apos; meaning, instead of its context (the intended meaning when combined with other words). Although software can be programmed to recognize the context of words and create a translated version in another language, it&apos;s simply impossible to create a complete database of translations since there are infinite word combinations. In fact, machine translation systems were created to aid professional translators, and not to replace or make them redundant. Due to oversight occurring in the source file, the wrong, improper or incomplete source content may have been provided for the translation workflow. Usually, these are instances where the source files sent to the translator were not the latest or did not tally with the final copy used for creating the website or printed materials. Other potential pitfalls could be due to missing words or sentences, use of colloquial slangs, jargons or coined word that are not internationally understood, use of abbreviations, text with software codes, extensive grammatical errors, SMS-type text, incorrect references, etc. Therefore, it is essentially critical that all source copy must have been thoroughly proof-checked, approved and ready, prior to releasing them for translation. IT IS FORBIDDEN TO ENTER A WOMAN, EVEN A FOREIGNER IF DRESSED AS A MAN. PERSONS ARE PROHIBITED FROM PICKING FLOWERS FROM ANY BUT THEIR OWN GRAVES. GUESTS ARE REQUESTED NOT TO SMOKE OR DO OTHER DISGUSTING BEHAVIOURS IN BED. The above are just a fraction of laughable bloopers - certainly weren&apos;t funny to the brands or businesses they were associated with. If you are a member of IPPWORLD you may be interested in learning how to optimize your content on our network.